As the speed of innovation accelerates, the window of opportunity narrows. 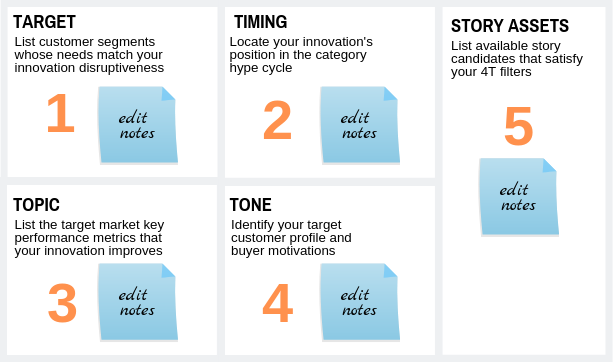 Our Story Cube framework maps your product or service innovation’s position in the marketplace against your business goals, and evaluates storytelling strategy options through the filters of target, topic, tone, timing, and your availability of potential stories. All of which helps you publish the right stories, for the right audience, in the right format, at the right time. We conduct Story Cube workshops—online or onsite—to kick off our retainer client relationships, and as half-day stand-alone engagements. Contact us to learn more.